A tooth can be lost for a variety of reasons, such as tooth decay, gum disease, or injury and trauma. Being aware of the different causes can help you do your best to prevent tooth loss from occurring so you can maintain your natural teeth for as long as possible. However, if tooth loss occurs, dentists can offer many great restorative dentistry procedures to effectively and realistically restore your smile. At his Lake Mary, FL, office, Dr. Steven Hochfelder provides traditional restorations and implant-supported restorations for patients. Here, he discusses the common causes of missing teeth and how you can restore your smile through restorative dentistry. It’s not uncommon for plaque to build up on your teeth over time. Visiting the dentist every six months for a professional cleaning can help remove this harmful bacteria before it develops into something more serious. A dentist can also take x-rays to detect even the smallest traces of damage and provide immediate treatment. If plaque build up is left unaddressed, the plaque will remain on the teeth and slowly erode the enamel and cause cavities. These small holes will only worsen with time, and you may experience increased pain and difficulty chewing. When the tooth is unable to be saved through conservative treatment, tooth extraction may be necessary. Gum disease affects roughly one out of every two people in the United States over the age of 30. This bacterial infection of the soft and hard tissues in the mouth can usually be addressed conservatively in its earliest stages. Once the infection progresses to its advanced stages, teeth will start to loosen and either fall out or need to be extracted. When unhealthy bacteria and infection penetrates the center of the tooth and compromises the roots, a conventional dental filling or crown is considered ineffective. 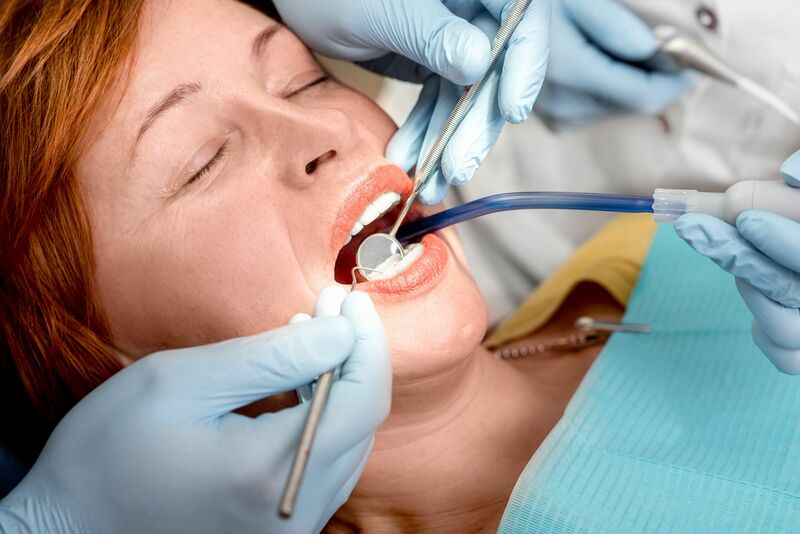 In order to help save the tooth, root canal therapy is generally recommended. Though highly successful, occasionally root canal therapy is ineffective and the tooth will need to be removed. Failed root canal therapy is typically caused by an inexperienced dentist or a severely damaged tooth. Broken and knocked out teeth can result from falls, sports injuries, or a fluke accident. When it happens, it can be scary and overwhelming. Knowing what to do beforehand can help save your tooth. However, even when the appropriate steps are followed, the tooth may not be able to be repaired through conventional treatment. This condition affects the hinge joints that connect your upper and lower jaw. While side effects generally include jaw pain and headaches, another common side effect is bruxism (teeth grinding and jaw clenching). If bruxism is left unaddressed, it can cause enamel to thin and even lead to cracked and broken molars. Though dental crowns may help restore and strengthen teeth, when the damage is too severe, extraction is necessary. This inherited condition causes abnormal development in the hair, skin, nails, and teeth. Children who are born with this disorder often do not receive all of their adult teeth. So once the baby tooth falls out, there is no adult tooth to grow in its place. If your child is diagnosed with this condition, you can help protect his or her smile by going to the dentist early on to help establish a long-term treatment plan. Whether you are missing teeth due to the causes listed above or simply from old age, Dr. Hochfelder offers solutions for patients of all ages. Patients can choose from dental implants and customized implant restorations, removable partial and complete dentures, and Prettau® Bridges. Your oral device will be custom-made to blend beautifully with your natural aesthetics and provide durable results. If you are experiencing tooth loss of any kind, please contact our office today to schedule a consultation with Dr. Hochfelder.